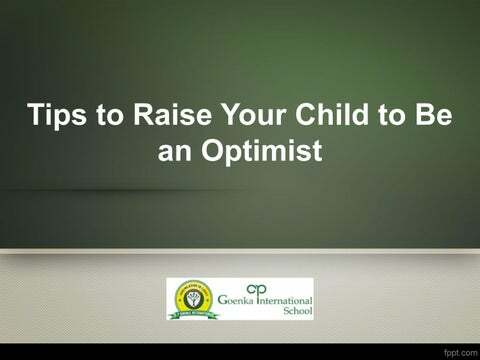 • Parents often wonder how they could possible raise their child to be optimist. • After all, children who see a glass to be half full rather than half empty are far better at dealing and facing life’s challenges, and are happier too. • There are lots of reasons to encourage in your child optimism, and it includes long-lasting and positive affects on their physical and mental well-being. Quit complaining • There are instances when one might be driving their child to their school while worrying out loud – “We are not going to make it on time,” or “We are always running late.” Well, focusing always on frustrations and negative thoughts is classic pessimism. • If you keep on crying about your money problems or tough days at office, then it is more likely that your kids would learn the same things and act the same way. • Instead, what you should do is talking about all the things that went right – “I just had a great encounter at the office today,” or “I just succeeded with an important project at office today.” • The teacher at the IGCSE schools in Mumbai suggest that parents play the game of “roses and thorns” with the whole family. • Each of the family members tell the best and the worst things that happened with them that day. â&#x20AC;˘ And rather than simply crying about the bad things, the goal of the game is to focus more on the positive things that happened. Have high expectations • Having high expectations from your kids can be a great motivator and can nurture optimism in your kids. • Even before your kid starts going to school, begin posting to-do lists in your child’s room reminding them to get dresses, make their bed, tidy-up their room, and brush their teeth. Make it clear that your kids wouldn’t be allowed to have breakfast until they had finished all the jobs assigned to them. 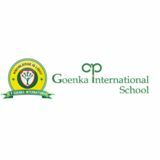 them feel more capable,” notes the kindergarten teacher at the school in Thane Ghodbunder road. A two year old kids is capable of picking up their toys, a three year old could put their dirty clothes in hamper, and a four year old could carry their own plates to the washing sink.